As we grow old, a lot of our body functions start to deteriorate. One’s metabolism runs slower and the brain breaks down ever so slowly. According to scientists, most of our body functions reach their peak before we hit 30, and then go downhill afterwards. It’s the primary reason why food supplements become vital as we grow old. They help us get additional nutrients that our body couldn’t get enough of from the food that we eat. Dietary supplements come in many forms, each of them tailored to address a specific need. There are vitamins and minerals supplements, protein supplements, weight loss supplements and much more. If you’re looking for something to help you become healthier this 2018, here are the top 4 food supplements you should try. Garcinia cambogia dietary supplements like Maxfit Garcinia is keeping our metabolism running well. Garcinia is often termed as a miracle drug because of its claim to help you lose pounds fast. The key ingredient in this supplement is hydroxycitric acid (HCA) which is extracted from the fruit’s rind. It claims to reduce your appetite by making you feel fuller. It also helps speed up your fat metabolism, and in some cases it can even enhance athletic performance. Because it lowers your body weight fast, it easily became one of the most popular supplements out there. But it’s not all good, as with any “lose weight fast” supplements, it has a couple of side effects to it. Some users have experienced feeling dizziness, nausea, dry mouth, and even diarrhea. Even FDA throws some caution into it so make sure that you’re getting yours from reputable brands. Vitamin C is another essential supplement that you should always take. It helps your immune system stay strong so you don’t get sick easily. It’s specially helpful during cold season. Vitamin C is considered one of the most effective and safest nutrients out. 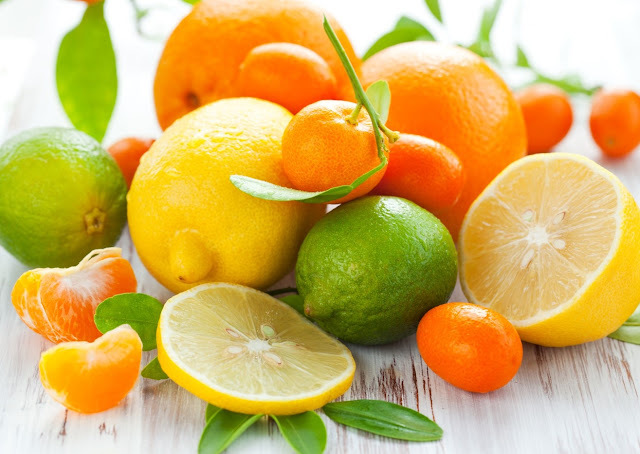 The daily recommended allowance for Vitamin C is set to 75 to 90 milligrams per day for adults. So taking 500mg Vitamin C capsules daily is more than enough. If you’re acidic, you can opt out of taking the regular Ascorbic Acid and switch to Sodium Ascorbate so it wouldn’t hurt your stomach. But don’t just rely on Vitamin C. Remember to fuel yourself with at least five servings of fruits and vegetables daily to stay healthy. It may seem a lot, but a banana is already one portion, and you can always substitute your dessert with fruits! Multivitamins and minerals are helpful in supplying the body with substances it cannot usually get through food. Taking multivitamins daily is linked to increased energy levels and improved mood. This allows you battle stress and fatigue and helps you perform better at work. Stress and anxiety are leading factors in getting sick, so keeping your body nourished with the right vitamins and nutrients helps you keep your mind focused and active. There’s a recommended dose of vitamins and minerals per day so remember not to overdose on the suggested dosage. An overdose of Vitamins A, D, E, or K can have life-threatening implications, so make sure to keep it at one tablet a day or as prescribed on the label. Who doesn’t want to maintain their youthful glow even as they trot into their middle ages? Aging is something we cannot stop but with the help of a healthy lifestyle and certain supplements we can definitely slow it down. There are several anti-aging supplements out there that have specific functions. There’s Coenzyme Q-10 that helps generate energy in your cells, it also works as an antioxidant that helps improve your skin. There’s Resveratrol for diabetic patients. A daily dose is recommended for a longer life span. And there’s also Carnitine, useful in converting stored fat into energy, improving your digestion. When it comes to anti-aging supplements, there are tons out there. You may not need everything so pick wisely on what aspect of your body you want to improve.